Southwestern Remodeling has been making homes in southcentral kansas better places to live. We are a locally owned and operated family business with over 40 full time employees. When you allow Southwestern Remodeling to become a part of your remodeling experience know that you are hiring professionals, with true expertise and dedication to service. We are ready to make your home improvement dreams become a reality! 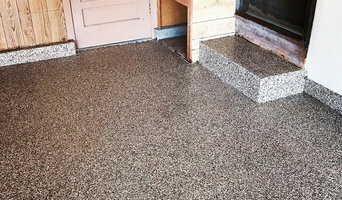 Our concrete coatings provide a custom, finished look while adding functionality to your existing concrete surface. At Garage Force, our ultimate goal is to achieve 100% customer satisfaction. We want you to be absolutely thrilled with our product. 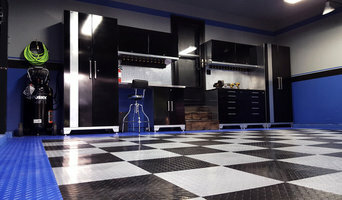 Offering a full range of products, Garage Force is a leader in floor coating installation across the country. Our coating systems provide a durable finished floor that is both easy to maintain and adds value to your home. As a family owned and operated business, our reputation is our assurance. 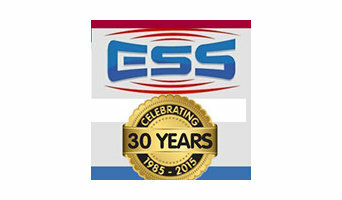 The success story of Electronic Security Services Inc. is one that we don’t hear very often. Electronic Security Services Inc. is a Wichita Kansas security services company that has not only survived for 29 years—but has thrived—as an innovator making new and reliable security solutions to power the most secure, most useful and most intelligent solutions available to protect and manage the things that matter most—your family, home, and business, in a constantly changing world. Electronic Security Services Inc. is dedicated to offering high-technology security designs and has assembled a team of professionals that work tirelessly delivering those designs. Only the best will do when it comes to protecting your home and family from home invasions, theft, and violence. Electronic Security Services Inc. can provide the best design, installation and service the security industry has to offer. Garage Makeover Specialists serving Kansas, Missouri, and Oklahoma. Providing top to bottom garage renovation services, including custom lighting, wall design and paint, custom and off-the-shelf cabinets, organization solutions, flooring products, and vehicle lift installation. Old Barn Supply is the only commercial supplier of premium reclaimed raw material to luxury builders in the lower Midwest! We are NOT brokers. We deconstruct, harvest, clean, prepare and store ALL of our own material! Beams, remilled flooring, barn wood, brick, stone, metal, you name it! We also build custom furniture like tables, store counters, cabinetry, and our unique specialty: Sliding barn doors! Our high-end product will give you the "wow!" you've been looking for. We guarantee a unique, abstract end result that will last for generations! Come visit our yard in Wellington, Kansas OR our OKC warehouse location and see how we can change your life! If you're looking for high quality and personal service, you've come to the right place. At Doherty's Heating & Air Conditioning LLC we'll give you the attention and personal service you’ll come to expect and enjoy. As a professional HVAC specialist, some of our specialties include: Heating Installation, Cooling System Installation, HVAC Repairs, HVAC Installations and more to name a few. We have been in the area for years. Call today and discover why we are the area's best! Fire Retardant Paints and sprays for nearly any surface. We are a termite and pest control service in Wichita, Kansas. We exterminate bugs in residential and commercial areas. Our services pest management for ants, roaches, spiders and termites, rodent trapping and pest inspection services. Helping make thermal enclosures better since 1947! Whether you’re looking for a team of Wichita, KS professionals or a handyman for a small renovation, you’ll find dozens of professional profiles and contact information for specialty contractors here on Houzz. Here are some related professionals and vendors to complement the work of environmental services: Tree Services, Rubbish Removal, Home Builders, General Contractors. Let’s say you want to install custom wood flooring in your dining room, and you’ve found a Wichita, KS company with excellent reviews. Next you’ll want to contact the company and make some inquiries. Find specialty contractors on Houzz. Look in the Professionals section of our website under Wichita, KS specialty contractors, then select the nearest metro area for a contractor. 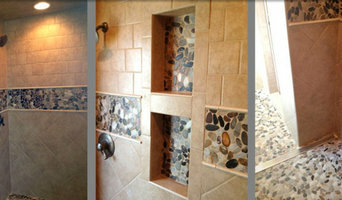 You can also look through Kansas photos of completed projects to see how a contractor might approach design challenges.